If you are thinking of selling your church building in order to build a larger facility, consider sharing your present facility as a way to achieve your goal. Is your present facility used twelve hours a day, seven days a week? If not, you have a valuable resource that can accelerate your plans. 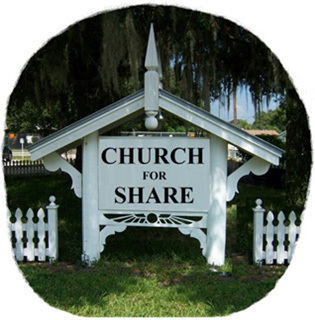 Sharing your facility with a second church community brings you five important blessings. “. . . size is among the most important characteristics of any organization, including congregations. It affects everything else. More people mean more resources, more staff, and more programming. . .
With whom would we share? Christian Diversity Not Competition! Correct planning for sharing a facility does not result in competition between similar groups but rather cooperation between groups. For example, it is common for Hispanic communities to worship during evening hours on Sunday,; others on Friday and Saturday. As the “host church” you choose your days and times of use. You have complete control over your facility. Only the time that your facility is idle is shared with another not-for-profit organization. A mutually supportive relationship is born. Is our church facility too small to share? No facility is too small or too large. In all four of the above areas we have had remarkable success with small groups. Some guest churches are as small as ten members, accredited schools as small as eight students, child and eldercare with only six persons. According to both Duke University’s studies, one in 1998 and a second study in 2007: “ . . .over 50% of all churches in the United States have less than 75 regular participants and an annual budget of $90.000.” This means that in your home town there are many small groups that are in need of a “real church” building. Their $90,000 (or less) annual budget makes it financially challenging to pay a ministerial staff and support a free-standing, single-use church facility. 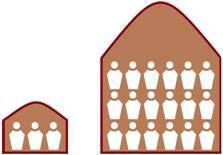 Regardless how small your church building may be, it is of great value to others.